We’re taking over the Rec Center. 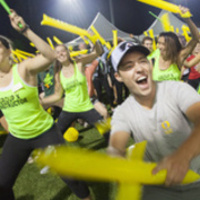 Follow the crowd from Matthew Knight Arena after Kickoff and experience all the Rec has to offer. Tour the brand new facilities, hang out with your new friends, and get your Zumba on.